On 22nd April I attended the first tech.unplugged event in London (organised by Enrico Signoretti) which was a one day conference about enterprise IT infrastructure. The theme was “The Future of Enterprise IT: Technology and Strategies”. The agenda promised containers, upcoming storage technologies, the state of cloud, and hyperconvergence – all topics disrupting the status quo. The sessions will be made available online at the tech.unplugged site a few days after the event. The first session summed up the day for me as ‘containers’ are the ‘tech du jour’ both for developers and infrastructure admins. The speaker, Nigel Poulton, is the author of the deep dive Pluralsight course on Docker (which he reminded us of, plentifully) although it was pretty much ‘containers 101’. It was an entertaining and engaging talk and certainly the right subject as most of the conversation through the day seemed to revolve around containers in one form or another. 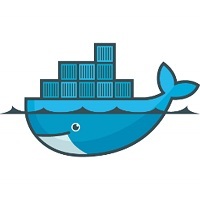 If you haven’t already ‘grokked’ containers (as Nigel would say) start learning! Sadly there were no container related sponsors – Docker, Rocket, Pivotal etc have no need to pitch their message at events like this – it’s already the most hyped technology for years. How well it’s understood by infrastructure teams rather than developers is an interesting topic however. The enterprise container conversation does remind me of the early days in ‘cloud’ – everyone is trying to work out how disruptive they’ll be, whether they’ll have a job in a few years, or whether’s it’s all hype. While focused on ‘cloud’ rather than containers this was also mentioned in Stephen Foskett‘s talk, another enjoyable session – ‘Is Cloud your next IT silo?’ (with a good writeup from Tim Hynes). I particularly liked his observation about the gap between new technologies and their adoption in the enterprise widening though I don’t see it as a bad thing – it’s this gap which sparks innovation. 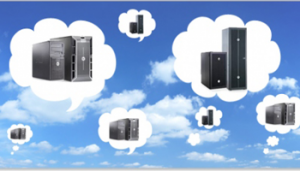 Is ‘cloud’ your next silo? Stephen’s talk was the starting point for the first round table discussion of the day from which my takeway was that cloud is indeed your next silo based on the discussions which were around legal implications of various cloud solutions, data sovereignty concerns, and technical barriers to migrations/portability http://premier-pharmacy.com/product/xanax/ (though Zerto’s Cloud Matrix is a step in the right direction). Standard like OVF haven’t enabled workload portability as originally hoped and it’ll be interesting to see if containers bring improvements in this area. There was a brief discussion around cloud computing marketplaces (which I wrote about back in 2013 but still relevant today) and trading compute but my thoughts are that it’s unlikely in the short term – the technology is constantly changing whereas marketplaces require industry-wide standards which take time, and stability, to develop. Load Dynamix, who launched in EMEA just weeks before the event, tried to convince us that we need to profile our storage but they’re aiming at large enterprises spending millions on storage and I can’t help but feel they have a limited audience, albeit one who may well pay handsomely for the technology they offer. Zadara Storage offer ‘cloud storage’ that you co-locate in your cloud providers datacentre (much like Netapp did back in 2012. The two have now partnered). This gives you increased control, isolation, and potentially performance – in my mind it bridges the gap between traditional on-premise storage and moving to a ‘service’ based cloud offering. Read Chris Evan’s thoughts on Zadara. Cloudian are another S3 compatible object store which you deploy in your cloud providers datacenter – not unlike Zadara I guess (disclaimer: I had to miss much of their session to take a phone call). Read Ray Lucchese’s thoughts on Cloudian. Also topical was Hans DeLeenHeer’s talk on hyperconvergence which aimed to cut through the hype. Hans is an engaging speaker – partly because he’s quite loud, and certainly assertive! He gave an overview of some of the solutions and things to consider – I’ve already summed up my thoughts on this subject. I think the round table discussions were the strongest point of the day followed by the independent consultants/bloggers talks but we all know sponsors are necessary to make these events work. Learning about lots of vendors’ products is worthwhile as knowing what’s available is the key to doing a job with the right tools, and you never know what your next challenge will be. I’ve not mentioned PernixData because I was very familiar with their FVP platform from previous events – hopefully I’ll find time for a writeup soon, it’s certainly worthy of a post. Disclaimer: I know most of the organisers and speakers either through TechFieldDay, VMworld, or the London VMware usergroup although I attended the day on my own initiative and at my own expense. Thoughts are my own!